We took a canoe out on the bayou in Jean Lafitte National Park out in Barataria, Jefferson County. This is just a stone’s throw South of New Orleans and reminds you that you really are in the middle of a swamp there. We rented it from the fine people at Bayou Barn. It was actually a very chilly march morning. We were wearing multiple layers under hoodies until the sun got high. 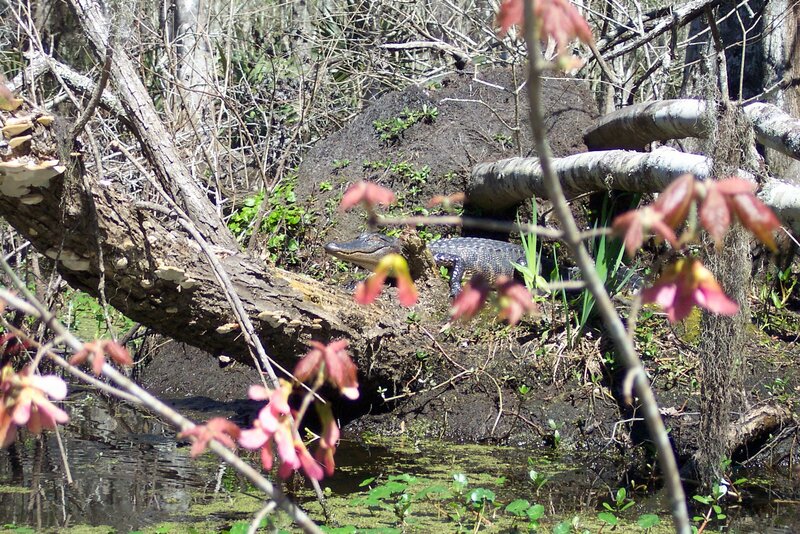 This alligator was out sunning himself early. I’m sure he sees so many tourists go by he never gets spooked. The turtles on the other hand weren’t having any of it. They always did their best Errol Flynn dive into the water as the canoe approached. The seed pods on the red maples are just gorgeous this time of year.